Microsoft has released Windows 10 build 11082 to the Insider Fast Ring, making it the first branch of the Redstone release. 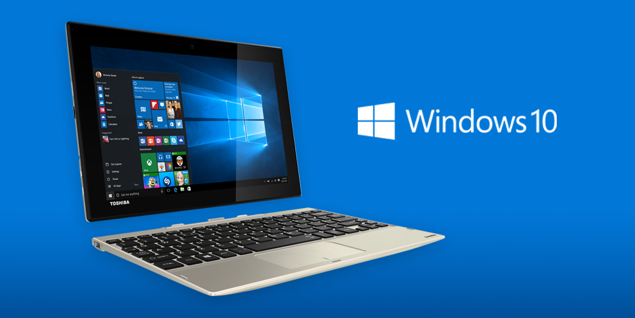 Windows 10 Redstone is the next step in the development of the operating system. This set of updates will bring new features and improvements to Windows 10. As usual, all the changes and features will be tested by insiders before they are released to the public, next year. If you are enrolled in the Fast Ring, you can get the new preview update from Settings > Update & Security > Windows Update > Check for update. Microsoft has announced to publish any known issues in the preview builds on its internal Insider Hub app. Here are the problems you can expect to experience in Windows 10 11082 preview build released to Fast Ring. Microsoft is also planning a more rapid release schedule for the Fast Ring insiders in January. This means you will see more preview builds starting from next month. Gabe Aul, however, recommends switching to Slow Ring if you want a more stable experience. The new criteria will be much closer to our criteria for flighting to our internal rings, which means more builds will pass it and be released externally to the Fast ring. This also means however that the builds we release to the Fast ring may include more bugs and other issues that could be slightly more painful for some people to live with. It’s a tradeoff – as the thing that throttles the rate of builds is the promotion criteria. Windows 10 has finally entered into the next stage as we expect to see a lot more stability and new features in the coming months. Did you test the latest preview build? Don’t forget to let us know about your experience with it.